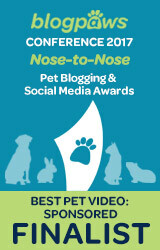 This post is sponsored by Febreze ™ Air Purifiers and the BlogPaws Professional Pet Blogger Network. 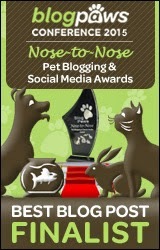 I am being compensated for helping spread the word about Febreze Air Purifiers, but Pawsitively Pets only shares information we feel is relevant to our readers. Febreze Air Purifiers is not responsible for the content of this article. OK - I'll admit it. My house is stinky sometimes. I have a multitude of pets that each have their own special stinky odor they like to contribute to the mix. On top of my pets, I also live with kids, a boyfriend, and a grandpa. And each of them likes to contribute their own special odors to my home too. Just the other day, I was sitting in my bedroom and I couldn't stand the stink any more. Shiner, my dog, had a pee accident on the floor a few days before and it seemed like no matter how much I scrubbed the spot I couldn't get the smell to go away. 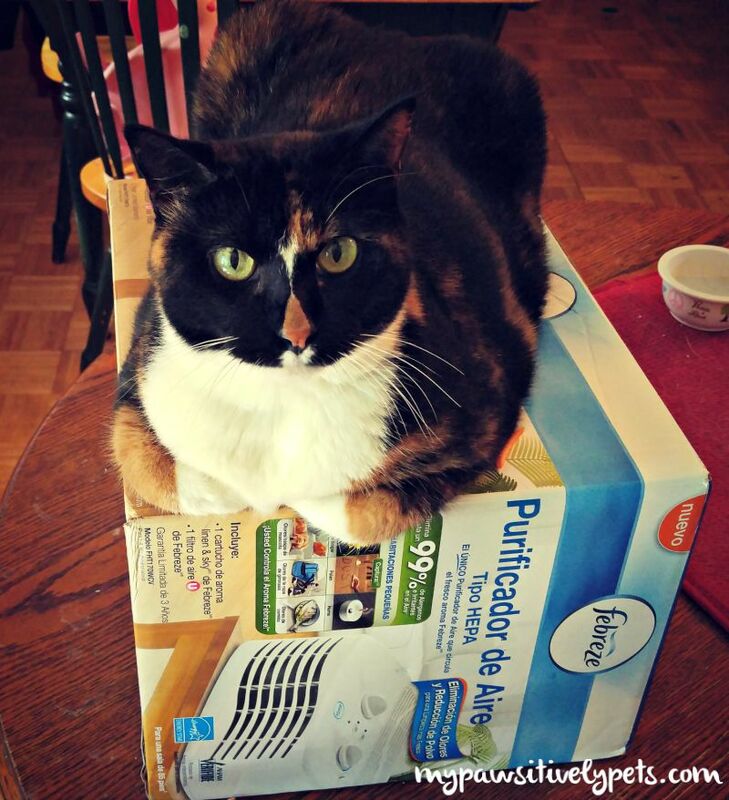 When I was asked to try out a Febreze™ Air Purifier, I knew it was something I really needed in my home. The Febreze Air Purifier is a Hepa-Type Air Purifier that removes up to 99% of air pollutants. It contains one scent cartridge that lasts up to 30 days. The scent cartridges are available for purchase in linen & sky™ and spring & renewal™ scents. 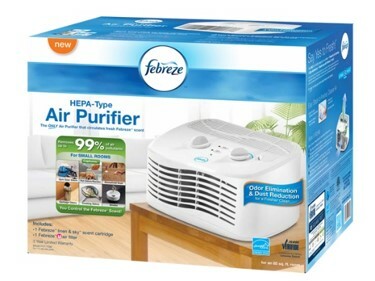 There are two rooms in my house that I had to decide on using the Febreze Air Purifier. It was between my bedroom and the living room. My apologies if this grosses everyone out, but this is life people! And sometimes, life just doesn't smell good. These are the stinky odors I am using my new air purifier for household odor reduction. Dog Urine - Shiner has had more accidents with her old age. Since she spends majority of her time in the bedroom with me, that's where most of her dog pee accidents occur. Thankfully, it doesn't happen too often. These accidents stink something awful and I have a hard time getting rid of the smell. My Pet Rats - The boys are not that smelly, but they do stink up my bedroom a little bit. In addition to reducing their own stink, I am hoping the Febreze Air Purifier helps with dust reduction as rats can have sensitive respiratory systems. Cleaner air will be good for them. Human Urine - Yes, you read that correctly. I have a 3 year old daughter that has pee accidents too. Not so much anymore now that she is potty trained, but stuff happens. Dirty Laundry - My boyfriend has been going to the gym a lot this year. He's lost over 70 pounds in the past few months. (Go him!) All that weight loss means lots of dirty stinky gym clothes and shoes. 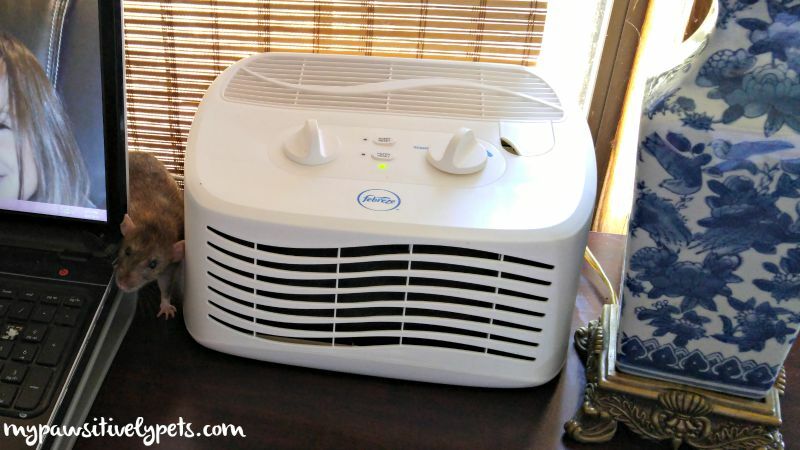 I might even consider adding a second Febreze Air Purifier to my home in the living room for household odor reduction in there. That's Callie the Cat's domain. Callie's litter box odor is minimal, but present at times. I don't know what you're talking about... I don't stink! In addition to household odor reduction, I plan to fight some of this dust I got going on in my house too. The Febreze Air Purifier is also a household dust reducer. With 3 air-cleaning levels and a freshness scent control dial, the Febreze Air Purifier can be customized to my preferences . The one I have sitting on my desk is a Tabletop size. They are perfect for dorm rooms, bedrooms, offices, living rooms, or anywhere that dust and odors make the space feel less than fresh and clean. The Febreze Air Purifier is conveniently available for purchase at WalMart. Are you living with stinky odors you'd like to get rid of? Tell us about them! Haha - I think it would be a great item to keep in an office. I have heard of these, they sound wonderful!!!! 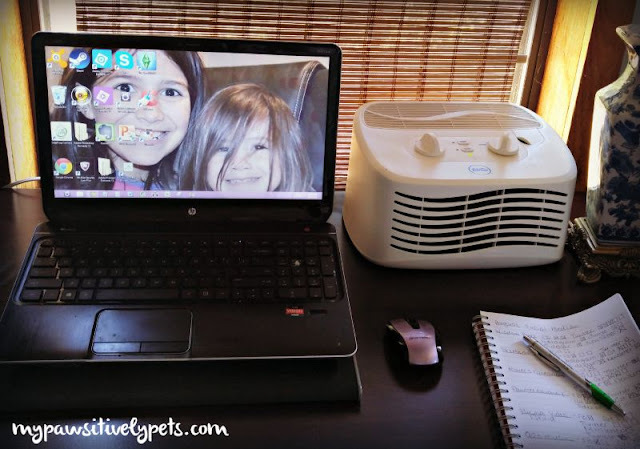 I didn't know Febreze made an air purifier - that is so great! My dogs are sometimes very stinky, especially after one of our outdoor adventures! Thanks for a great post & recommendation! I didn't know either :) Shiner gets stinky too, especially after a trip to the lake. Stink is another reason we aren't fans of summer here. It seems like all the stink rises to the surface the minute it gets warm out, add in some humidity and it can be bad! Glad to know you like this product in case we need one in the future. Yea, and it has been QUITE warm here. Got into the car yesterday and it said the temperature was 110 degrees outside! I was really interested to hear how these worked. I have a big Houston Pet Machine HEPA air purifier in my bedroom, but I need something downstairs in the cat box room. Thanks for an informative post! I think I also need something for the living room area. It was a tough choice on where to put this at. We have two air purifiers here and they help with asthmatic kitties breathing problems too. Oh yes - I bet they do help! My nose had been starting to feel kind of dry lately, and my room always seems dusty. Hope this helps with that some! Yea, stuff happens =/ We just need to make sure we are on the ball with her more now that she's older I think. "Special stinky odour they like to contribute to the mix..." LOVE it! At my house, there are just cats and peeps but I'm thinking BOTH species like to contribute some stinks that need to be dealt with. I don't, of course, but the rest of the cats? And the peeps? Oh yeah... Something like this could be quite handy, for sure. MOUSES! Oh my! All of those odors are pretty stinky. We have dirty laundry and urine smells occasionally too. It was a tough choice for where to put ours too! Wow, that air purifier would come in really handy around here. We have cooking smells sometimes but I think that's about it! Unless you count the family of skunks that likes to visit sometimes. I have cooking smells sometimes too. 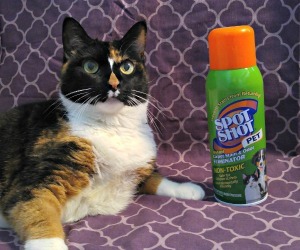 Hope those skunks don't spray! That is one strong smell... Shiner has been sprayed a few times. So....how well did it work at getting rid of the odors you mentioned in your bedroom? It's working well so far! I have another post about it coming up later, but for now I am just sharing information about the product. I'd love to get my hands on one of these, without central heat and air our house gets stuffy sometimes and it would help to clear out dust and allergens when we need to open the windows. I would like to try this and keep it in the kitchen due to my um er, "mishaps"
Terrific review, now I know we need one of these!